WND.COM Reports: “Given the far-reaching implications, it is morally imperative that this hypothesis be the subject of a truly scientific and impartial investigation by responsible authorities,” the four physicists conclude. They write: ”The total collapse of WTC 7 at 5:20 pm on 9/11, is remarkable because it exemplified all the signature features of an implosion: The building dropped in absolute free fall for the first 2.25 seconds of its descent over a distance of 32 meters or eight stories. Its transition from stasis to free fall was sudden, occurring in approximately one-half second. It fell symmetrically straight down. 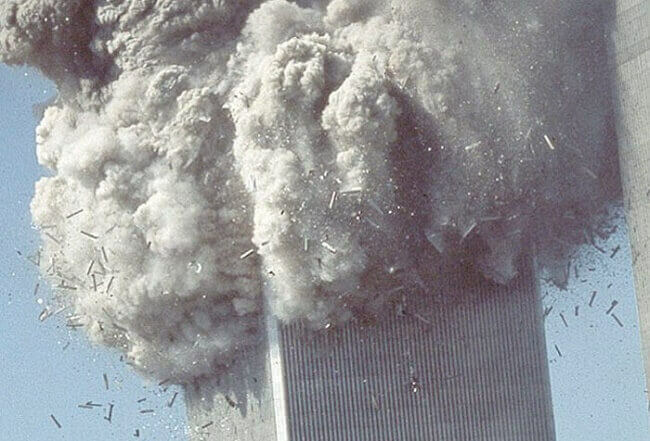 Its steel frame was almost entirely dismembered and deposited mostly inside the building's footprint, while most of its concrete was pulverized into tiny particles. “The collapse mechanics discussed above are only a fraction of the available evidence indicating that the airplane impacts and ensuing fires did not cause the collapse of the Twin Towers,” the report says. “Videos show that the upper section of each tower disintegrated within the first four seconds of collapse. After that point, not a single video shows the upper sections that purportedly descended all the way to the ground before being crushed.